Booster Shot Media educates people of all ages about complex health topics using creative visuals, original characters, and multimedia storytelling. 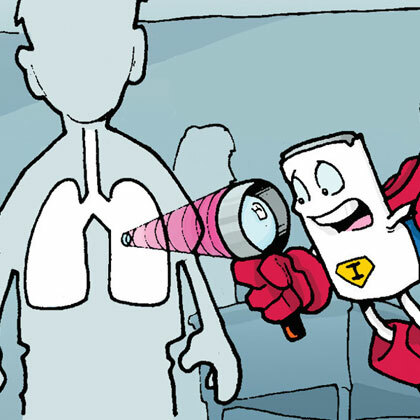 Booster Shot Media creates comics and videos to educate people of all ages about complex health topics. Iggy and The Inhalers is an award-winning, multimedia asthma education project with comic books, trading cards, stickers, videos, and more. Learn about research on its effectiveness at IggyandTheInhalers.com. Our whiteboard animations use simple visual metaphors and plain-language narration to explain health information. We have produced whiteboard videos for children's hospitals, NIH-funded research projects, and patient education. Learn more. 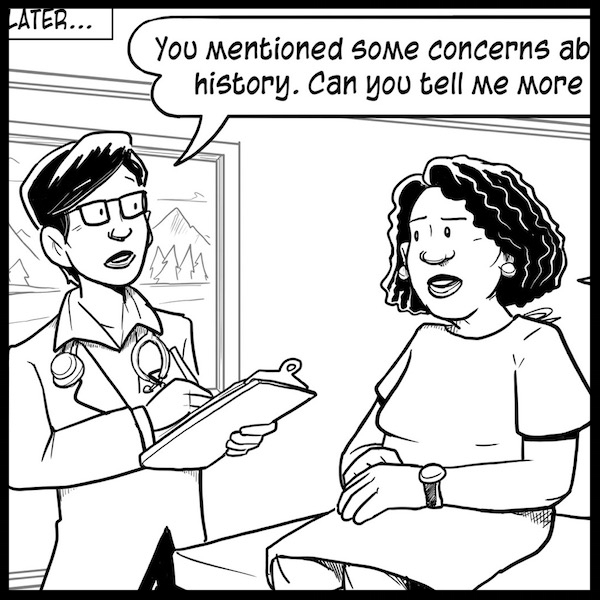 Our comic books are patient education tools that can facilitate communication between patients, caregivers, and health care professionals. Learn about the Stoplight Pain Scale project and research at StoplightPainScale.com. We have worked on several federally funded research projects on topics related to biobank, informed consent, precision medicine, and patient-centered outcomes research. Learn more about our collaborations with researchers. 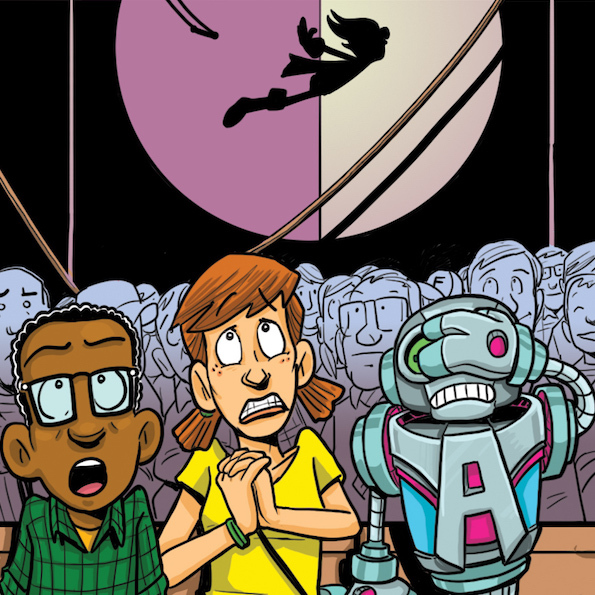 Custom comic books for branded and unbranded patient education projects are available for medical companies, health care systems, professional associations, and other groups needing to reach a specific target audience. View case study. We can create realistic depictions of clinical scenarios to demonstrate sensitive or complex information. This approach is especially useful when you need nuanced characters, facial expressions, and gestures. View case study. 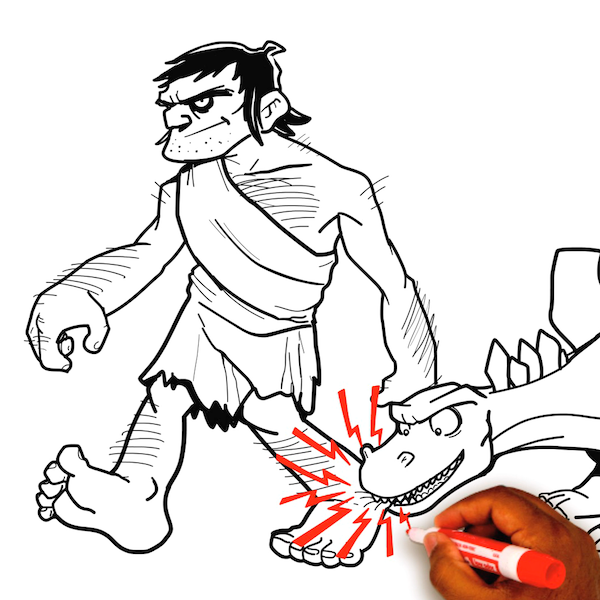 Scientifically accurate creative is part of all projects we produce. Some clients have asked us to focus specifically on medical visuals rather than our usual character and story approach. View a recent project we did on celiac disease. We have a growing library of "ready to license" patient education videos that can be loaded onto hospital video services. You can customize with your brand features. Contact us for more information about using our ready-made content. Many projects require multiple languages, and we have relationships with translators that understand the creative requirements of story-driven communication. Contact us for examples of our work in multiple languages.